The Feiyu SPG 2 come with three-axis follow mode simulates space status, enables you to enjoy the beauty of images shot in zero gravity. Feiyu SPG 2 super-torque motor combines with intelligent anti-shake algorithm, even in the extreme environment like spinning round, the three axis can accurately follow the intricate angle to make breathtaking creations with special effects. Feiyu SPG 2 is crafted using high tech CNC precision aluminum alloy to ensure the highest possible quality and lifespan for what will soon become your favourite smartphone gimbal. Feiyu SPG 2 is Splash Proof with OLED information display and have a max payload up to 300g and compatible with smartphone width between 57mm and 95mm. With a payload of 300g will allow you to add external lens to your smartphone improving your video creativity. With so many improvements on the much-loved Feiyu SPG, the Feiyu SPG 2 is combining amazing new features with an affordable price, making the SPG 2 the obvious choice for any Smartphone Stabilizer. The Feiyu SPG 2 unique multifunctional "magic ring" brings unlimited creation possibilities. 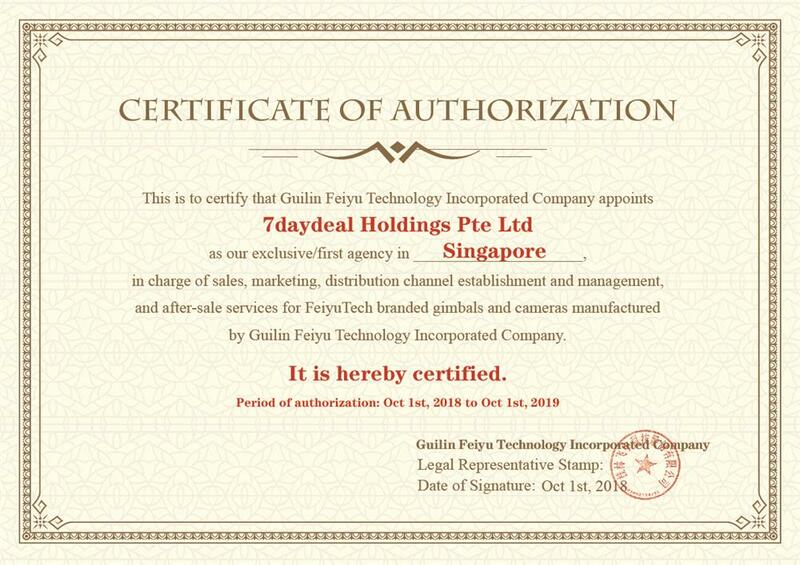 By connecting Feiyu On App, you can use “magic ring” to manually control the following focus and zooming of the phone, and precisely adjust the rotation of pan, roll and tilt motors of the gimbal. You can also easily switch between horizontal and vertical shooting mode with a click of a button making it better for Tik Tok/Live Show/ Vlog experience. Feiyu SPG 2 with the creative trigger button, you can follow your inclinations to do any creations in "shadow hunting" mode. After "shadow hunting" mode is activated, Feiyu SPG 2 will enter fast lock and reset status, thus, it can sharply respond to any rotations of each degree, quickly capture the wonderful moment, and achieves the effect of "obtaining from wherever you turn towards". Feiyu SPG 2 Bluetooth dual-mode enables the mobile phone audio interface to get better voice. Data and audio Bluetooth dual channel connection not only provides data channels for gimbal and mobile phone, but also provides audio expansion interface for external audio receiving equipment. 1: Audio jack on the handle part of Feiyu SPG 2 only supports American standard mic. Please find 3.5mm Audio Jack CTIA to OMTP adapter to fit for Feiyu SPG 2 if needed. 2: The mic should be compatible with smartphone, if you have mic for camera, please find the adapter. Feiyu SPG 2 with two-way power supply. 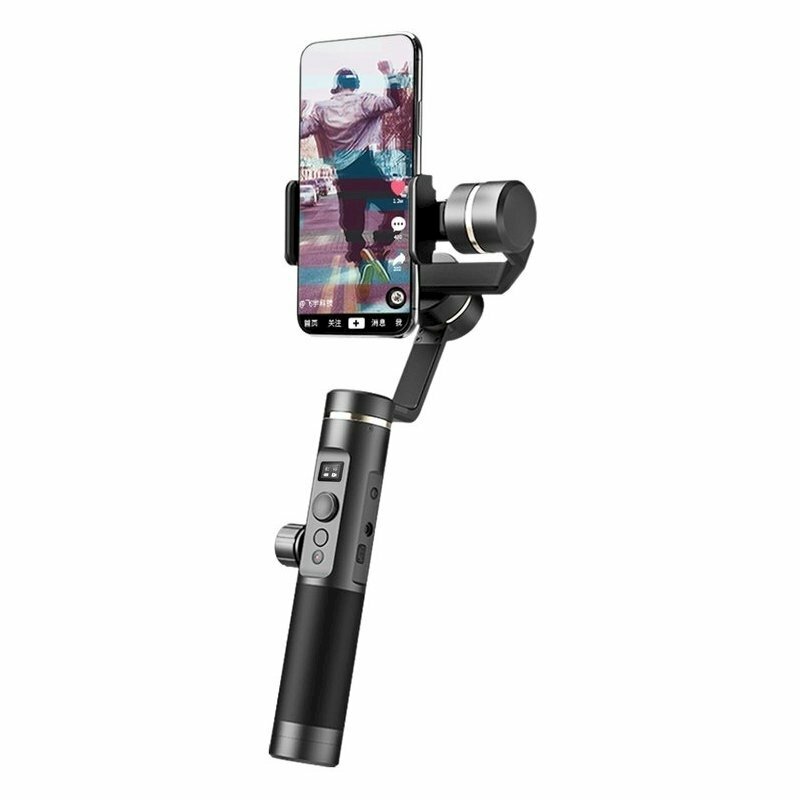 The gimbal with output interface for mobile phone power charging, and supports to be charged by power bank when in used. Large capacity battery working with low-consumption motor provides battery life as long as 14 hours. Splash Proof Grade: Only fresh water. Underwater use and saltwater exposure are banned. Battery: Removable battery 26650 3.6V / 5000 mAh, Battery could be charged by power bank with a USB cable when using it. Charging Time: ≥ 5 hours, Recommending using 5V/2A adapter for charging battery (quick charger is banned from charging).